This entitlement to consumption cannot be sustained for much longer. China received about half of the entire world’s recyclable materials to sort and process in 2016. Today, China has said “enough,” and the country enacted a ban on the import of 24 types of recyclables as of January 1, due to receiving too many contaminated batches and to protect their environmental safety. Waste industry professionals and waste generators alike are now wondering what our recycling future looks like here in the U.S. While recycling centers and landfills are starting to overflow, there are ways for restaurant operators to take back responsibility. Reducing waste first, sorting materials in the restaurant and gaining clarity into waste streams through waste services providers’ IoT dumpster sensors will set the restaurant up for success in a turbulent time. Below are three ways that restaurant management can positively impact their operations in response to this recycling ban. Convincing consumers to reduce consumption isn’t always an easy task. Cities like San Francisco and Boston have enacted bans on plastic bags at checkout, which some believe is a step in the right direction, while other consumers may feel frustrated at this loss of choice and convenience. However, this entitlement to consumption cannot be sustained for much longer, especially as landfills and recycling centers are quickly filling up. Restaurants can help adjust consumers’ behavior by reducing some of the one-time-use items they are providing such as napkins, plastic straws, aluminum cans, paper wrapping, as well as by purchasing items that are intended for multiple uses. To avoid frustration from customers who have come to expect items like extra straws, napkins or individual ketchup packets, restaurants can post signs in stores and on social media notifying their customers that while they typically would have these items readily available, the restaurant now kindly asks that if customers would like any of these extras to ask an employee for them. Also, by posting these signs that say something like “reduce waste: please only take what you need,” it shifts consumer focus to actively think about how much they’re using. To get a better idea of which items are being thrown away the most, the data in restaurant’s dumpsters can be analyzed by a waste services provider. Restaurant operators will be informed of what makes up their dumpster’s contents, how quickly waste containers are filling up and how the restaurant can reduce its waste volume, not to mention the cost savings of buying less items that are meant to last longer. Once the first R of “Reduce, Reuse, Recycle” is as heavily embedded in society as recycling is, we may start to see real, positive change in waste production. For waste items that can’t be reduced further, it’s critical for restaurants to set up separate bins for different materials that are clearly labeled to promote accurate sorting. This will help reduce the impure recycling batches that partly made China enforce this ban. Recycling often elicits a feel-good response from consumers and companies, but frequently people are unsure which recyclable should be placed where. Questions like “Can my glass bottle get recycled with my plastic fork? What about my paper napkin?” are common in restaurants and eateries. To combat confusion, restaurants can set up a defined recycling system to help adjust customer behavior. This way, when they are recycling, guests can be comfortable with the urgency to do so accurately as well as positively position the restaurant brand as a company that cares about its environmental impact. Waste services providers can help restaurants solve this recycling uncertainty by assisting and laying out a clear, concise program that is specific to the restaurant’s city and county regulations. Also, by placing a sensor in the restaurant’s dumpster, a waste services provider can use the connected technology to monitor if recyclables are being disposed of correctly, further providing restaurants the clarity and ability to benchmark their waste data in order to set and achieve business recycling goals. 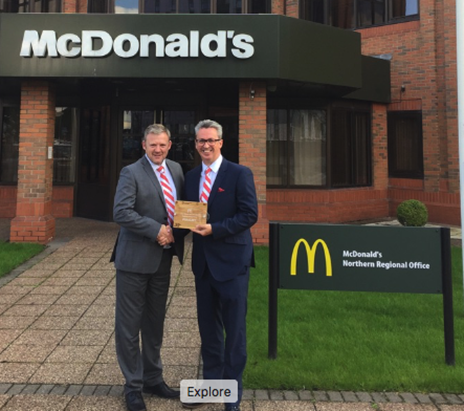 For example, a McDonald’s U.K. franchise with seven locations and 30 percent expected growth rate over three years felt they were spending too much time dealing with their waste and recycling issues. They a hired waste services provider and within six months, the McDonald’s franchise reduced its waste collection costs by 12 percent and saw a 50 percent increase in recycling diversion. Also, McDonald’s has a corporate goal of 50 percent recycling rates by 2020, and waste data is helping this franchise track against that goal. Once clearly defined recycling guides are in place, employees and customers will feel confident, and the restaurant can truly make a positive impact. Internet of Things (IoT) technology is becoming more and more prevalent across restaurant operations. PoS, inventory and even HVAC systems use connected technology to provide increased visibility into processes, and now we can find that same level of data and increased awareness in the restaurant’s dumpster. 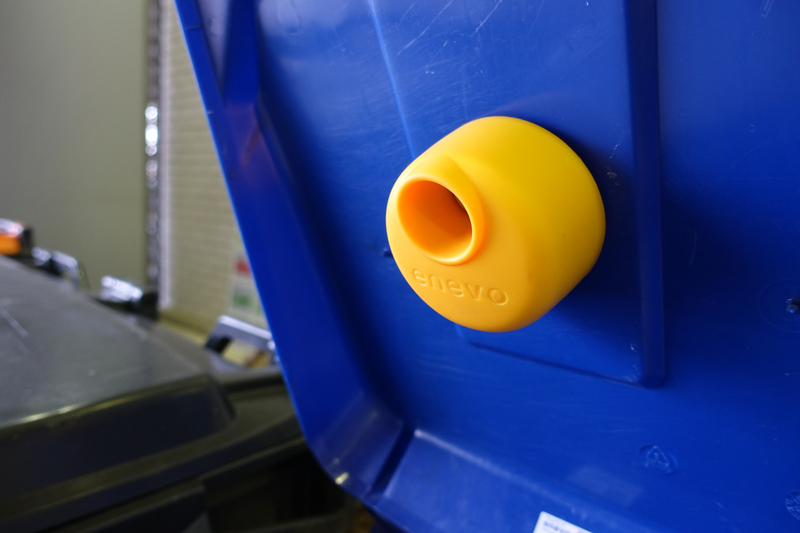 Restaurants can place container sensors in the recycling and waste bins while a team of waste service professionals monitor waste streams. Everything from excess food waste to cardboard boxes from shipments to unsorted recyclables will be analyzed, and this data can uncover if portion sizes are too big, if shipments use too much packaging and if recycling programs are being followed by staff. Operators can then use this information to identify areas for improvement. With the help of a waste services provider to deliver actionable insights, restaurants can reduce their waste throughout the supply chain. This type of clarity has not yet existed in the waste industry, and the data that it provides allows restaurants to set benchmarks in reducing waste and improving recycling initiatives, resulting in cost savings and optimal operational efficiency. 2018 is already shaping up to be an interesting year for waste and recycling, and restaurants need to be aware of the latest industry trends and issues that impact them. While China’s ban on recycling materials may have disrupted the global waste industry, restaurants have the unique responsibility to shift this into an opportunity to influence their customers’ behaviors and update internal processes. How will your restaurant react? 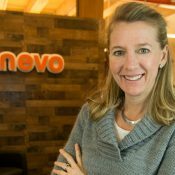 Christy Hurlburt is vice president of marketing for Enevo, a waste services provider within the retail, restaurant and multi-family industries. Previously, she managed Cascadia Consulting’s corporate sustainability practice area where she helped clients with the planning and implementation of their waste reduction and zero-waste goals.